Conical Strainer 230mm/9-inches. 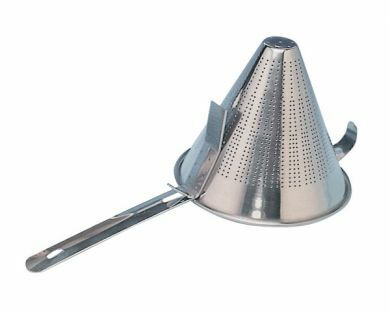 This Stainless steel conical strainer is perfect for everyday use in the catering industry as well as home. This product is great for prepping your vegetables and ingredients. With its unique and stylish design it is perfect for straining of your veggies while you finsh of serving or for washing your fruit and vegetables before cooking. It is easy to clean as you can just pop it in the dishwasher.